This appealing original oil on canvas is by British artist Paul Earee. 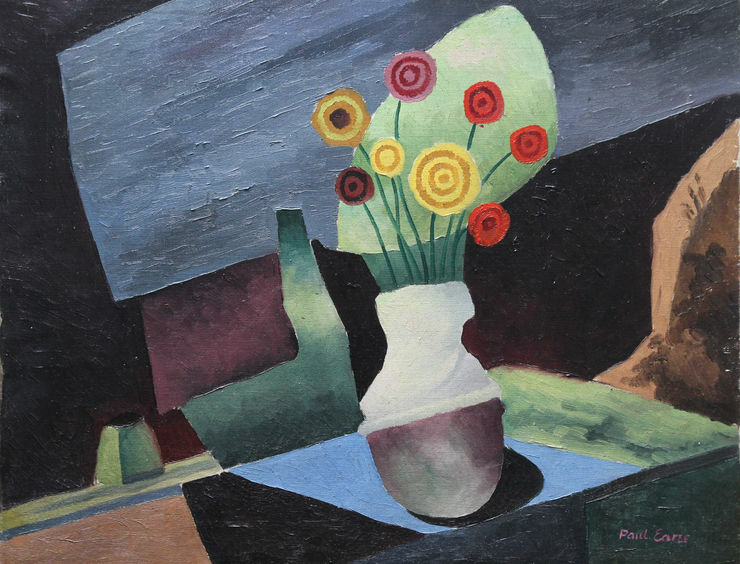 Painted in a Post Cubist manner circa 1930, this floral still life depicts a vase of flowers on a table in bold blocks of colour. A really appealing painting in superb tones. 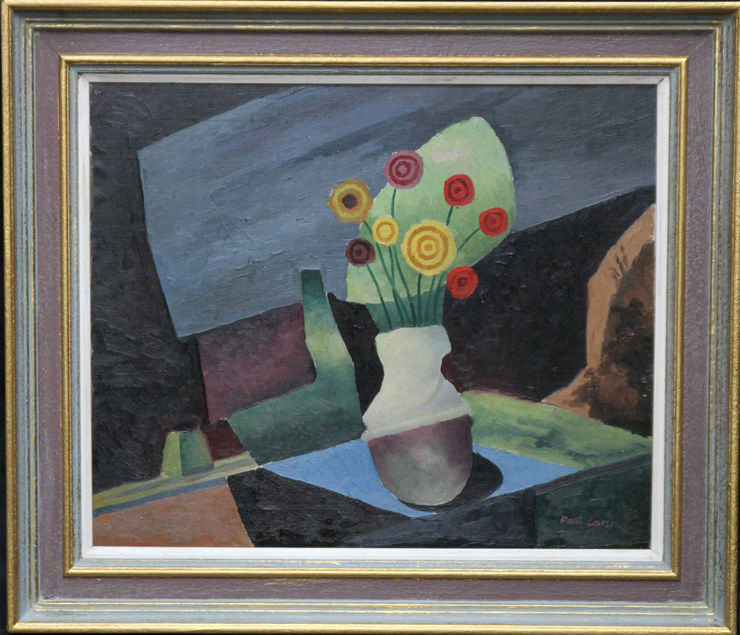 Housed in a gallery frame with complementary tones, 31 inches by 27 inches approx.